On April 12th we celebrated Laura’s wedding with the girls from the Bridal Party!! Laura, Monica, Heather and I went to dinner at Capitol City Brewery, got ready in the hotel, and then went downtown to Adam’s Morgan in DC. 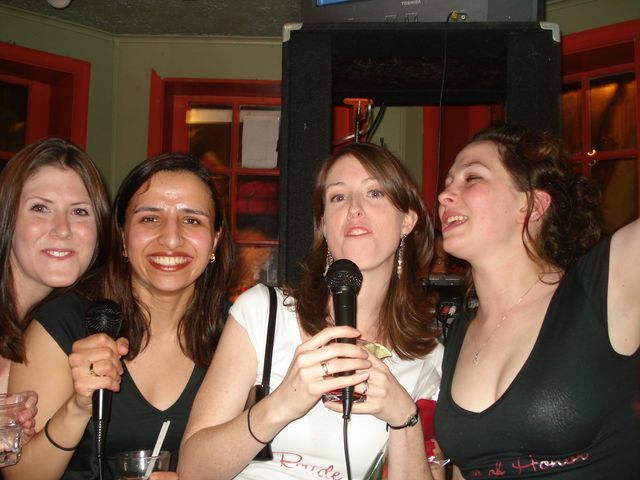 We bar hopped and even got Laura (and the rest of us) to do Karyoke to “Like a Virgin” which was amazing. Unfortunatly, the night ended with a twisted ankle which sucked, but other than that it was a whole lot of fun! More pictures to be enjoyed on our various MySpaces! !